Did the Supreme Court Support The Mandatory Use Of Aadhaar In Non-Welfare Schemes? The matter related to 12-digit biometric Unique Identification (UID)/Aadhaar number was mentioned before the Chief Justice of India Jagdish Singh Khehar headed 3-Judge Bench of Supreme Court on March 27. After hearing the matter the Bench did not pass any order. The Bench also comprised of Justice D Y Chandrachud and Justice Sanjay Kishan Kaul. Senior Counsel for the petitioners, Shyam Divan apprised the Court through the earlier orders wherein UID/Aadhaar matter has been judicially determined to be an urgent matter by the then Chief Justice of India, Justice, H.L. Dattu headed 5-Judge Constitution Bench. On Monday, the bench was informed about paragraph 5 of the October 15, 2015 order. The next date of hearing is likely to be April 3. Even if the 3-Judge Bench on Monday had been persuaded to pass or alter the pre-existing order the Bench was not empowered to do so because a 3-Judge Bench cannot overrule or modify a 5-Judge Bench order. The media failed to report the Court’s direction saying, “The Union of India shall give wide publicity in the electronic and print media, including radio and television networks, that it is not mandatory for a citizen to obtain the Aadhaar Card” and that “The production of an Aadhaar Card will not be a condition for obtaining any benefits otherwise due to a citizen” in its order. 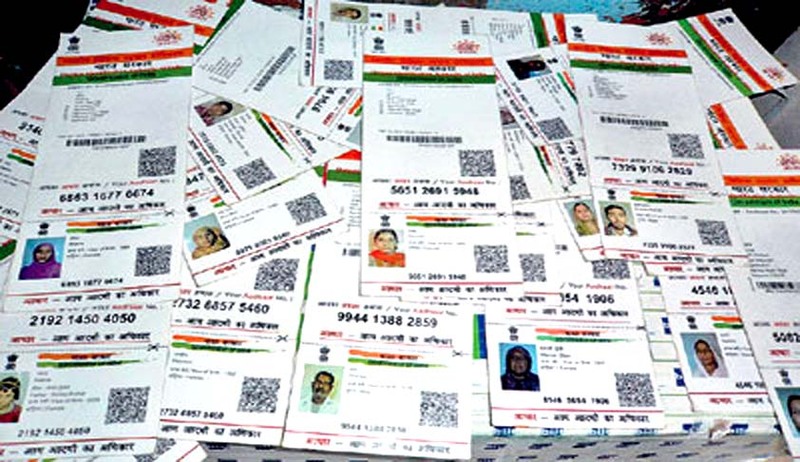 The misreporting has been so widespread that the debate in the Rajya Sabha also dealt with the issue of UID/Aadhaar, on the assumption that the Supreme court has indeed passed some order on Monday. On Monday, both Sitaram Yechury of CPI (M) and Sukhendu Sekhar Roy of TMC spoke in the Rajya Sabha under the impression that Court has passed some order on the subject of UID/Aadhaar because of misreporting by the media and both criticized Government’s insistence on UID/Aadhaar. Notably, this not the first time that TMC and CPIM have joined hands to criticize it in supreme public interest. Both of them together got a unanimous resolution against UID/Aadhaar passed from the West Bengal Assembly seeking compliance with Court’s order. Besides that Satish Chandra Mishra of BSP too endorsed whatever was stated by the TMC MP. Given the fact that some 13 cases against UID/Aadhaar have been clubbed together and there is a separate case against Aadhaar Act as a Money Bill, the case is likely to be mentioned again in the coming days. In its petition, Lokniti Foundation, the petitioner had prayed that “The Aadhar Card or such other biometric identification may be made compulsory for verification of the mobile phone subscribers that can ensure 100% verification of mobile phone” but pursuant to Attorney General’s submission, it is apparent that the Bench decided to adhere to Constitution Bench’s order that keeps biometric UID/Aadhaar Number voluntary. The Department of Telecommunications, Ministry of Communications too issued a letter on the subject of “Implementation of Hon'ble Supreme Court orders regarding 100% E-KYC based re-verification of all existing subscribers” wherein it partially refers to Court’s order dated February 6. The Ministry of Communications will have us believe that 2-Judge Bench’s order will prevail over the 5-Judge Constitution Bench’s order. Notably, the observation of the CJI on Monday that there is no urgency in setting up a Constitution Bench is not part of any formal Court’s order. Although more than one year and three months have passed, the Constitution Bench’s order remains to be complied with. This order puts it on record that “This Bench is constituted only for the purpose of deciding the applications filed by the Union of India seeking certain clarification/modification in the orders passed by a Bench of three learned Judges of this Court dated 11.08.2015." This order in UIDAI Vs CBI case is part of the “all the earlier orders passed by this Court” which is required to be followed “strictly”. The Court reiterated its order on September 14, 2016 after the passage of The Aadhaar (Targeted Delivery of Financial and Other Subsidies, Benefits and Services) Act, 2016 underlining the fact that the last order of the Supreme Court is the law of the land. Indian residents or agencies which are facing problems due to any order which are making biometric UID/Aadhaar Number compulsory can use the Court’s orders to save oneself from illegitimate, illegal and unconstitutional instructions or circulars. Notably, the existing legal provisions as per Court’s order and the Aadhaar Act 2016 do not provide for seeding of UID/Aadhaar with any scheme or project. But the apparent erosion of the meaning of “urgency” by the three-Judge bench on Monday is likely to set a very unhealthy precedent, because it implies that the word will be treated with similar casualness, by successive benches. Note: We regret the earlier headline carried by the story inadvertently.